We live in an age of big ideas. But how exactly do you transform a great concept into the next global business empire, or at least the next thriving side hustle? Every entrepreneur defines success differently, but all of them face similar challenges to achieving it. 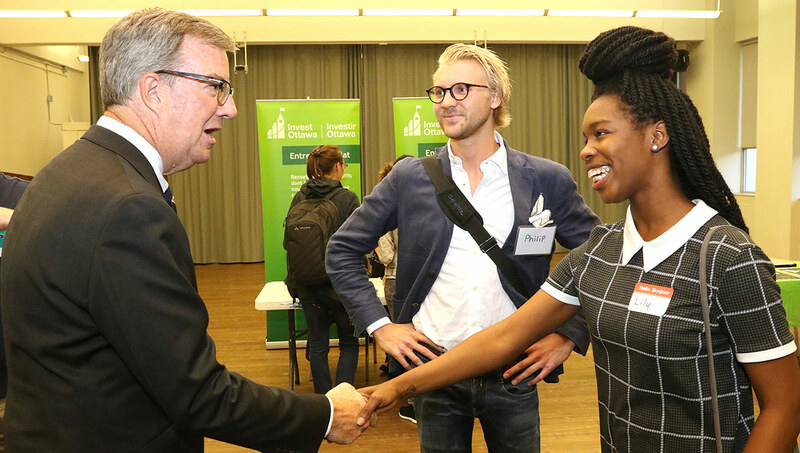 Carleton’s Hatch program helps students prepare themselves to rise to the occasion. 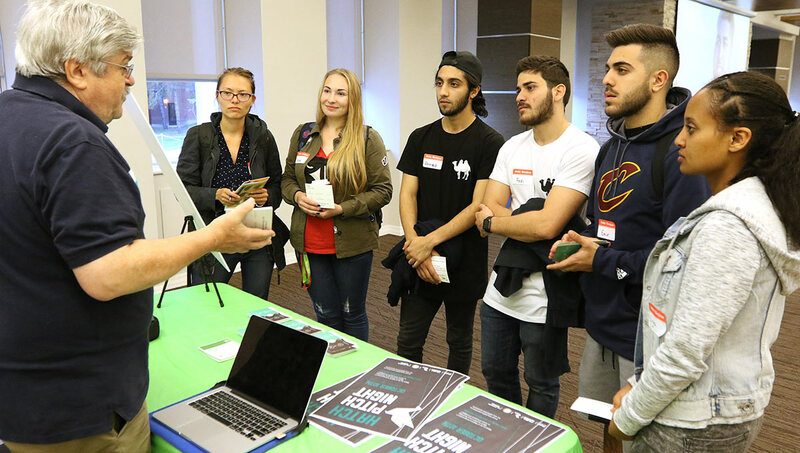 The student-led program works with budding entrepreneurs to develop their business plans and connects them with investors, partners and a community of like-minded peers. 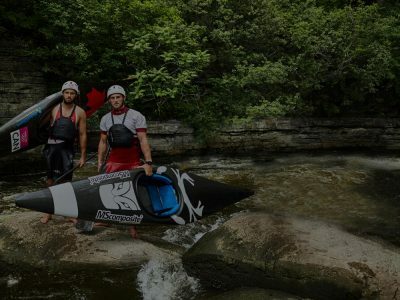 It’s the launching pad that helped Cole Miller and Twelve Barrels whiskey land a $150,000 investment on Dragon’s Den, and set Mallory Rowan and Josh Reyes’ powerlifting apparel brand LVD Fitness along the path to $1 million in annual revenue. “We’ve generated amazing entrepreneurs,” says Melissa Vong, Hatch’s director and lead organizer. At Hatch’s first event of the year – a meet and greet featuring Ottawa Mayor Jim Watson — Vong’s excitement is palpable. She’s been building the student incubator for three years and word is starting to get around. More than 100 students signed up on Facebook to attend the session. And last year’s team of two directors and two marketing managers has ballooned to a volunteer staff of 15. For Vong, it’s not only about fostering entrepreneurship on campus, it’s about developing her entrepreneurial skill set. 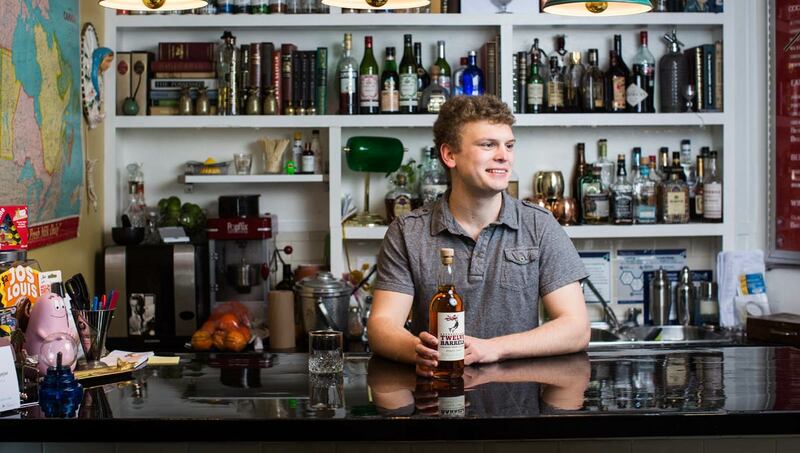 “I ran my first business without much experience,” she says. Vong launched a travel start-up during her first year at Carleton, but her inexperience (and the challenge of running a start-up while studying full-time) caught up with her. 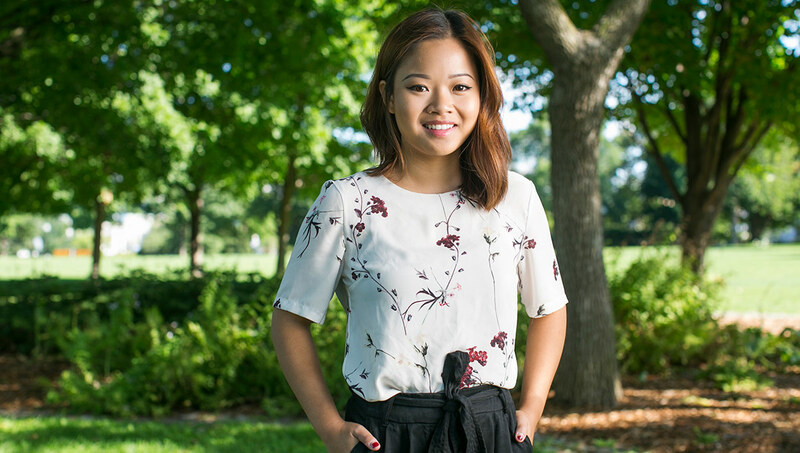 Melissa Vong was featured in Carleton’s CU75 Campaign in 2015 for her entrepreneurial leadership. Despite strong revenue, the business encountered challenges. Vong shuttered it, at least temporarily. Since then, she’s invested in real estate and is managing multiple rental units, but she’s not ruling out getting back into the travel business down the road. Building a broad network wasn’t always straightforward. 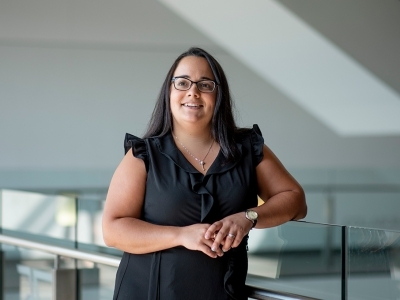 Hatch’s roots are in the Sprott School of Business and at first, Vong was mostly connecting with other business students. Last year, Vong brought on an engineer to serve as co-director. 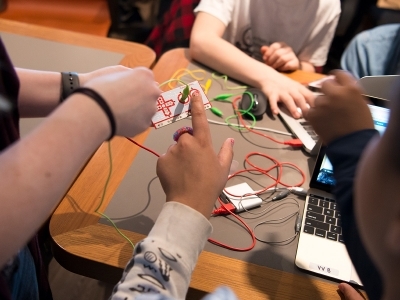 Rayhan Memon is a biomedical and electrical engineering student, and he’s helping connect the “ideas” people with their more technical peers. Rayhan Memon networks during the Hatch Green Carpet event in September 2017. 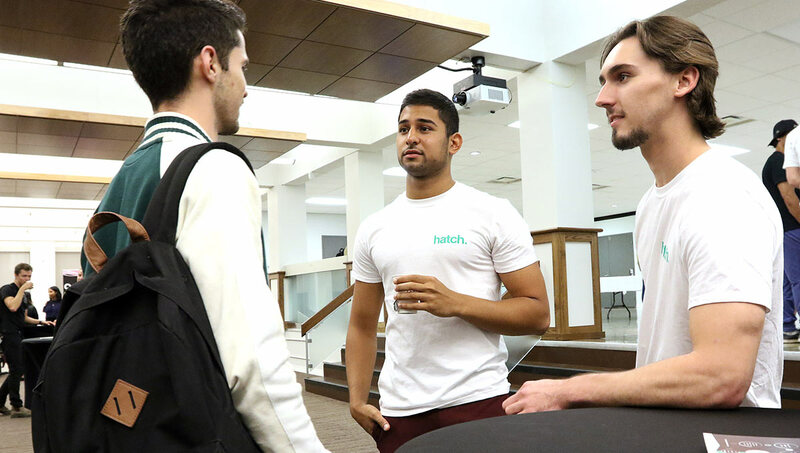 Hatch has 10 grants of $1,500 available to help top entrepreneurs with the expenses associated with starting their businesses, and it connects into one of North America’s top university start-up ecosystems, the award-winning Lead to Win accelerator. “Lead to Win is for when your company is more than just an idea,” says Tony Bailetti, the program’s director. 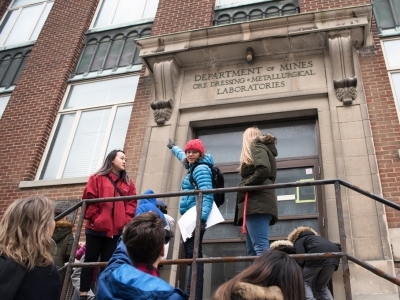 In Lead to Win, students are eligible for programs like the Nicol Internships – which offer $7,000 to $7,500 and office space for four to six students each semester – one more stepping stone on the path to profitability. The way that business is done has shifted dramatically as we’ve entered the digital age. Entrepreneurship has become the norm. 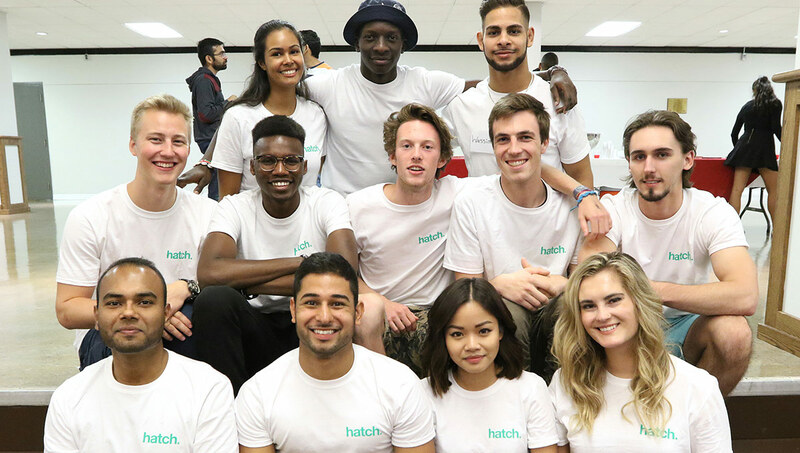 “As the online environment has evolved, so has the opportunity for people to create new futures for themselves,” says Rowland Few, an instructor in Entrepreneurship at Sprott who supports the Hatch program. With more than 30 years of business experience, Few believes that entrepreneurship has become an essential part of business education. Carleton University Women in Business networks at the Hatch Green Carpet event.